Creating and maintaining an effective office or work environment requires decision making that aligns with your organization’s goals and reflects its values. This intriguing program explores the natural unconscious tendencies that can subvert a positive and productive workplace. Steve enjoyed a 30 year career in the corporate IT world as a programmer, systems engineer, manager, business analyst and vice president. Working for companies such as EDS, Mercer, and Humana, Steve was not only a successful tech professional and manager, but he learned firsthand how managers can undermine their own success through poor decision making and leadership skills. In addition, Steve’s work in developing quality assurance programs has informed his insights into personal performance improvement. As a speaker, Steve’s programs focus on performance improvement through understanding and overcoming the subconscious influences that our reptilian brain has on our decision making and behavior. 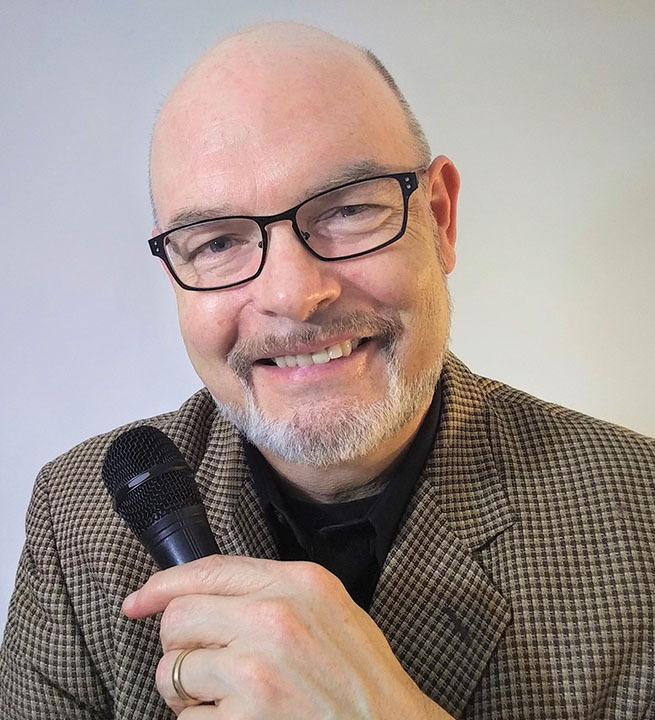 By combining his corporate and leadership experience with his entertainment skills and knowledge of psychology and behavioral science, Steve creates thought provoking programs that educate and entertain. Steve received his bachelor’s degree in computer science from Western Kentucky University in 1984. He lives with his wife and two amazing daughters in Louisville, KY, but travels worldwide to share his message. He believes that the ability to control our “lizard brain” shortcuts, biases, and impulses is the key to a fulfilling and successful career and life. Steve can also perform close-up entertainment during a cocktail hour or hospitality event.